"Effective Advocacy: From Grassroots to the Roundhouse." PRICES WILL ALL GO UP $10 ON DECEMBER 1st. Jamal Martín, PhD, MPH – Director, Peace and Justice Studies, Faculty-Africana Studies/Family Community Medicine and Senior Fellow, RWJ Center for Health Policy - University of New Mexico. As a public health scientist-practitioner, African, and African Diaspora scholar, his proficiencies include assessment, policy development, and assurance of essential public health services in local and international settings; plus, institutional change and development, social justice and healing, and violence prevention. As a scholar-activist, his praxis embodies integrated and transdisciplinary meta-theoretical methods and approaches to the knowledge of teaching research and service for building global health equity as a bridge to peace. Almae matres and alumnus Hawaii Pacific University, the School of Public Health -The University of Hawaii, College of Education- the University of New Mexico, with complementary scholarship performed within the School of Public Health-University of Michigan, Centers for Disease Control and Prevention, and the O’Neill Institute, For National and Global Health Law-Georgetown Law - Georgetown University. Our morning panel will include a plenary panel talking about stories of successful policy changes "from the bottom up" as well as the presentation of legislative proposals. 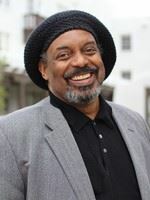 Our keynote speaker, Dr. Jamal Martin is the Director for the Peace and Justice Studies, Faculty-Africana Studies/Family Community Medicine and Senior Fellow for the Robert Wood Johnson Center for Health Policy at the University of New Mexico. Afternoon breakout sessions, to feature workshops on Medicaid Expansion, State Level Advocacy, Behavioral Healthcare in New Mexico, and many more!